Patterns of interbreeding between individuals are fundamental to the structure and maintenance of evolutionary boundaries between species. In corals, both hybridisation and reproductive isolation appear to be important evolutionary mechanisms. In this study, I examine evolutionary boundaries using morphological, molecular and reproductive criteria within the Acropora humilis species group at Lizard Island on the Great Barrier Reef, Australia. Five species and seven morphs are recognised on the basis of morphological appearance of features traditionally used to identify corals of the genus Acropora. In a molecular phylogenetic analysis, I examine relationships for the mitochondrial DNA’s putative control region, using maximum-parsimony and maximum-likelihood methods. The reproductive criteria explore whether species and morphs are reproductively isolated on the basis of temporal or fertilisation barriers. Timing of gamete maturity is surveyed for each species and morph, from the month prior to and 3 months after the mass spawning. Time of spawning is documented at the levels of night and hour of spawning, and time taken for egg-sperm bundles to separate. Laboratory fertilisation experiments tested the potential of species and morphs to interbreed. High levels of intraspecific and extremely low or zero fertilisation levels between the five species indicated that they are valid species. Based on the combined assessment of morphological, molecular and reproductive criteria, A. humilis and A. gemmifera appear to be the most closely related species, which are most closely related to the remaining species in the following order: A. samoensis, A. monticulosa and A. digitifera. Evidence derived from one or more of these criteria suggest that the morphs (1) are at various stages of divergence from the species with which they share morphological characters, and (2) may indicate possible zones of speciation and hybridisation. Identification of morphs avoided the possibility of taxonomic error and was essential for accurate interpretation of evolutionary boundaries. 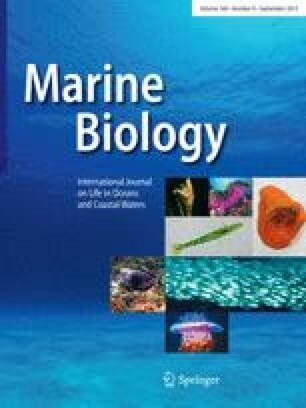 Confirmation of morphology as an informative character of evolutionary boundaries is of great significance because most coral research projects rely on morphology as the primary tool for identification of species. I thank B. Kojis for sharing her observations of the protracted spawning time in species of Acropora at Lizard Island. I also thank the staff of the Lizard Island Research Station, S. Romano, K. Michalek-Wagner, P. Detwiler, X. Pochon, K. Martin, M. Lalor, K. Tutt, M. Brown, J. MacKenzie, M. Kospartov, J. Stenstrom, D. Richards and Z. Richards for field assistance, and S. Klanten and students in the Institute of Zoology, Academia Sinica for laboratory support. T. Hughes, C. Wallace, C. Chen, L. van Herwerden, P. Munday and four anonymous reviewers provided useful comments on the manuscript. This study was funded by the Lizard Island Doctoral Fellowship and grants from the Australian Coral Reef Society and James Cook University awarded to J. Wolstenholme. Molecular laboratory expenses were funded by an NSC grant and internal funding from Academia Sinica awarded to C. Chen. The research conducted in this project complies with the current laws of Australia. Gilbert DG (1994) SEQAPP 1.9. A biological sequence editor and analysis program for Macintosh computers. Available from http://ftp.bio.indiana.edu. Cited 14 April 2003.